We know only too well that styling a Bride for their wedding day starts with the dress but it is completed with the accessories, Makeup and Hair. 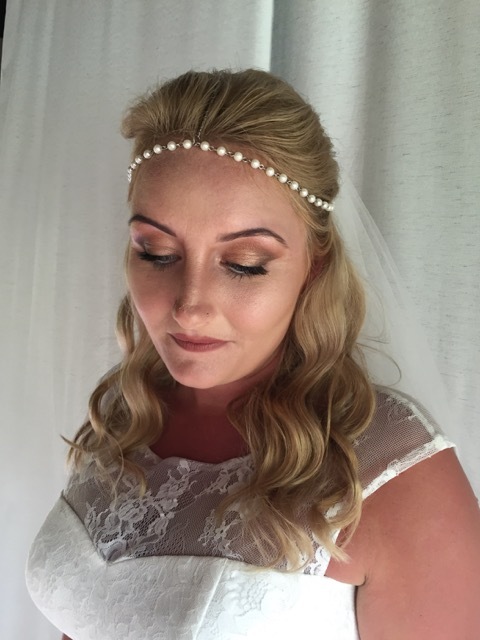 A bride’s ‘look’ can genuinely be made or broken by the way in which your accessories are worn, your makeup is done -appropriate products and the hairstyle to suit your face shape and dress! These are so important! Chose wisely and shine like the bridal star that you are, get it wrong and you could ruin your whole look! All about colour – The importance of colour and the best shade for you. All about shapes and styles – The importance of identifying which shape works for your body shape and personal style to give you that WOW factor. All about looking great on your big day – The importance of your Accessories, hairstyle,veil, your make-up colours and your grooming. With Dalysha’s wedding makeover expertise in custom wedding and bridal party styling, You By Design Image Consultant will provide you with fabulous fashion and bridal image consulting without the stress of planning. 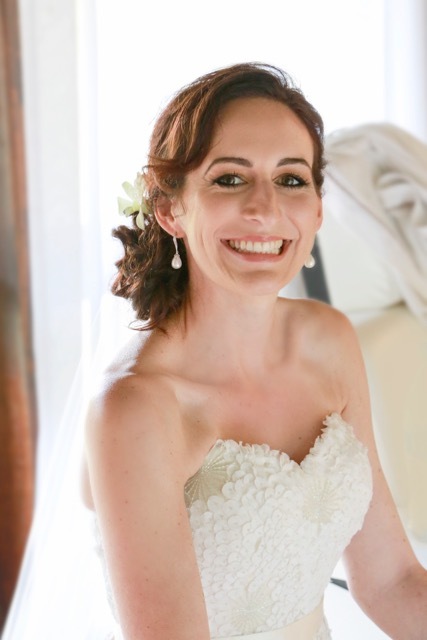 Why should you use a bridal make up & bridal hair stylist? Choosing the ideal dress, shoes, and jewellery for the bride. By working with You By Design wedding style consultant, Dalysha, you won’t have to worry about whether you are using the right colour theme or if your bridesmaids will hate their dresses. Picking the perfect tux, shoes, and accessories for the groom. Deciding on the best colour & styles for your bridesmaids & groomsmen. Selecting a look for the parents of the bride and groom according to the wedding theme. Finding the best gift for the bride and groom. Your hair and Makeup are your crowning glory and Dalysha wants to make sure that it compliments your fabulous wedding makeover look. You will also learn how to select flattering hairstyles that will complement your style and personality. 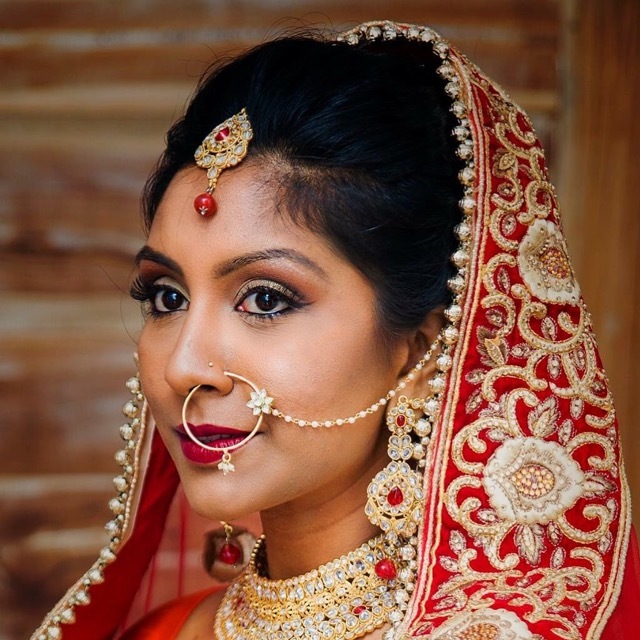 Dalysha is a professional makeup artist and Hairstylist specialised in Bridal and understands the diverse skin tones of brides from different ethnicity. Every effort is made to create a customized look that exactly matches the expectation of the blushing bride-to-be. 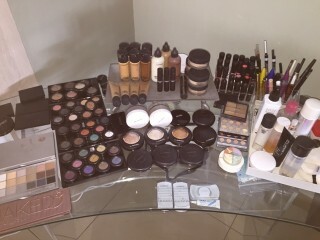 Who doesn’t want to have a flawless makeup on the most important day of their life?? Dalysha’s bridal makeup & hair packages come in different options for both European and Indian Brides. 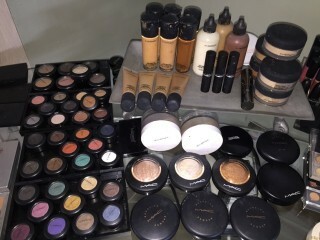 Get yourself pampered by a professional using International brands of Makeup & Hair products. Dalysha, will meet with you at her office or your home to evaluate your figure and budget, while collaborating with you to create your ideal bridal look based on your personality and taste. She will also discuss your ideas about bridal settings, color schemes, wedding fashion, and religious requirements. Afterwards, Dalysha will either schedule various appointments with bridal wear designers and Shops for a custom-made creation or she will be your personal shopper and will shop with you, for a unique ready-to-wear look. 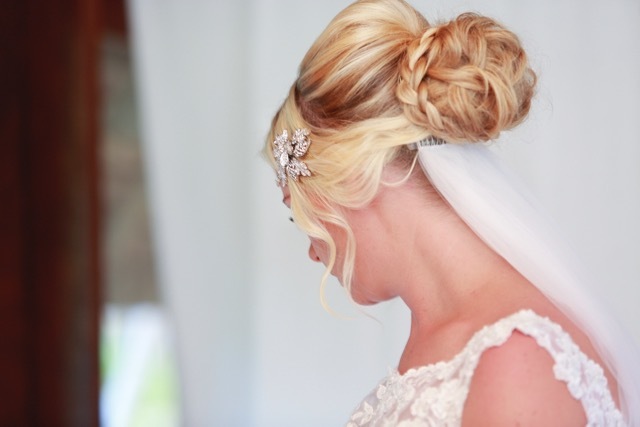 In addition, she has her own team of hairstylist, grooming, and makeup stylists for you and your bridal party that will come at your place fully equipped. She will also design cohesive wardrobes for your bridesmaids, groomsmen, ring bearers, flower girls, and parents of the bride and groom, while overseeing fittings and alterations. By the time Dalysha’s team are through with their finishing touches on the biggest day of your life, the results will be purely magical! You will learn how to pull off that chic wedding look, despite any figure flaws. Dalysha will also advise you on how to bring on that lovely bridal glamour by maximizing your body assets. By the time Dalysha is through with you, you will be a style expert in playing down your problem areas. You will learn the do’s and do not’s of accessorizing with our bridal fashion consultation. Dalysha will show you how to beautify each bridal outfit with gorgeous accessories. From luxury jewels to elegant gloves, you will learn about what pieces work best for your special bridal makeover look. In addition, Dalysha will teach you how to choose gorgeous wedding purses, stunning wedding shoes, and glamorous hairpieces to complete your regal bridal look. You will also learn how to incorporate antique heirlooms into your modern wedding day look. The makeover consultant is sure that the man of your dreams needs a helping hand with his wedding Styling. That is why she will collaborate with him on what style and fit to wear, combination strategies, and what colors will complement him the best. From dapper cufflinks to suave shoes, your beloved will definitely benefit from a bridal fashion makeover. Furthermore, Dalysha will show him the advantages of a handsome bow tie, the pros of a charming boutonniere, and how a debonair tux will jazz up your groom’s style! Looking and feeling good is fundamental for a fabulous wedding day. That’s why Dalysha believes in designing a diet and fitness regimen for her clients. She will discuss and examine your eating habits and set realistic goals based on your lifestyle. Her image makeover tips will help you find easy nutrition solutions that you will be able to live with, while developing a fitness training program that you will be able to enjoy. This is an investment that will benefit your health and self-image in the long run. You By Design Image Consultant is confident that your bridal fashion makeover consulting will be of use to you beyond your wedding day. That’s why Dalysha will also advise you on which shape and colour work best with your style and personality, while steering you towards the boutiques, shops, and stores that best caters to your needs. You will also learn how to recognize the distinctive stamps of craftsmanship, as well as the advantages and disadvantages of various fabrics. The style lessons will prepare you in making the most out of your personal appearance.